With the passing of Nelson Mandela, 'the father of the nation', comes the end of an era, and the moment to look back on his remarkable saving, and remaking, of South Africa. After years of oppression and racial inequality, concentrated violence and apartheid, Mandela led the country to unite 'for the freedom of us all' as the country's first black President. 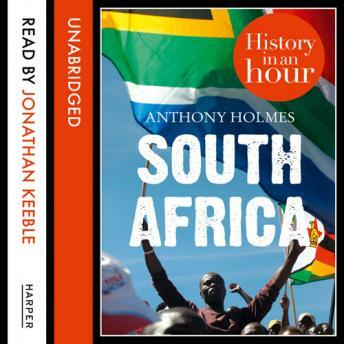 SOUTH AFRICA: HISTORY IN AN HOUR gives a lively account of the formation of modern South Africa, from the first contact with seventeenth-century European sailors, through the colonial era, the Boer Wars, apartheid and the establishment of a tolerant democracy in the late twentieth century. Here is a clear and fascinating overview of the emergence of the 'Rainbow Nation'. Know your stuff: read about South African history in just one hour.